A feast for the senses, Choir of Man will have you dancing down the aisles. Leave your worries in your coat and grab a pint! Why See The Choir of Man? From the creative team behind the Soweto Gospel Choir, The Magnets and North By Northwest comes a brand new choral experience that'll fill your soul with soaring harmonies and plenty of feel good moments! Set in a working pub, Choir Of Man brings together the sonorous, deep timbres of nine burly lads for winning arrangements of a broad spectrum of pub tunes, folk classics, Broadway hits, and classic rock and pop anthems, from the likes of David Bowie, Tim Minchin, Father John Misty and more! 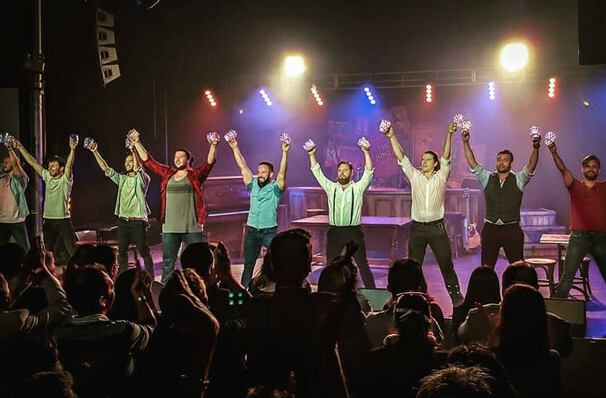 Part concert, part party, Choir Of Men was a runaway hit at the 2017 Edinburgh Fringe Festival, praised for its high-energy dance routines, smashing live musical accompaniment and soulful, feel good singing. And they really mean it when they say it's set in a fully-working pub - cast members regularly pull pints and invite audience members into drink in the music (quite literally) on stage for a fully immersive experience. Cheers to that! Sound good to you? 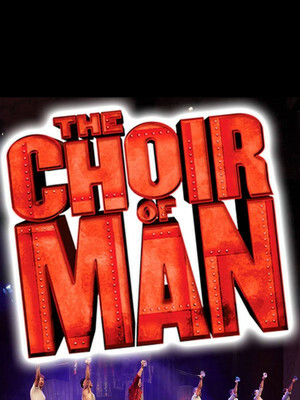 Share this page on social media and let your friends know about The Choir of Man at Brown Theatre. Please note: The term Brown Theatre and/or The Choir of Man as well as all associated graphics, logos, and/or other trademarks, tradenames or copyrights are the property of the Brown Theatre and/or The Choir of Man and are used herein for factual descriptive purposes only. We are in no way associated with or authorized by the Brown Theatre and/or The Choir of Man and neither that entity nor any of its affiliates have licensed or endorsed us to sell tickets, goods and or services in conjunction with their events.